Biggest, largest and the most beatiful MSSP level now. Making this level took me five months of hard work ( well actually not so hard ). I think that results are good. MSSP5 features some cool effects, lighting and gameplay. 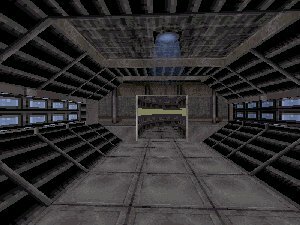 This might be my last Duke Nukem single player map ( read more about this from Mssp5.txt ). MSSP5 includes three different places: Spaceship, Moonbase and earth base. It has some ideas from "Matrix" ( like phone teleport ). Anyway download it now.